In 2017 to coincide with the 100 year anniversary of the De Stijl (De Stiel, English translation “The Style”) Dutch art movement, Paul found inspiration in the name and launched his new realty group DSR Realty, and now he’s committed to helping clients sell or purchase the right home in the right place—right when it matters most, with style! Paul had an important decision to make for his family. He had worked for Nordstrom as a buyer in the women’s shoe division for more than 25 years when the company decided to move all buying operations back to Seattle, WA. Paul and his family had called Hinsdale & Chicago home for the past 18 years, had three kids in local schools, friends, and deep roots in the community. It was a job he loved, but there was a life in Chicagoland he and his family loved too. Should he continue working in an industry he loved and had a great passion for that had little opportunity in Chicago, or commit to the Chicago area for the long term and put his experience in management, servant leadership, negotiation, buying, selling, and design to work elsewhere? “It was time to change gears and build a permanent future here in Chicago”. Paul launched DSR Realty Group and partnered with Keller Williams Experience Realty in what was a natural transition for him. A Los Angeles native Paul grew up in North Hollywood where he developed an intense passion for music, design and the arts that still thrives today; he loves Mid-Century art, architecture, and furniture design. He enjoys visiting estate sales in Chicago’s older districts, rescuing vintage audio equipment, instruments, and other treasures from our past, restoring them, and giving them new life.” He’s an advocate for the value that music, culture, the arts and entertainment can add to someone’s life and community as a whole. His tag line “Dreams Open Doors” is more than just a slogan, it's an opportunity to give back to the communities we serve and he looks forward to launching a 501C3 nonprofit that will benefit charities supported by the arts. “Anybody can buy or sell a house, but Paul works passionately to help clients develop a vision for their perfect real estate experience that fits their expectations and lifestyle, building a balance of home and community". That’s one of the value’s a real estate professional can bring to the home buying/selling experience today, especially in a market where homes are moving quickly, inventory is shrinking, and clients do a lot of their own homework before ever speaking with a real estate professional. For home buyers “there are so many sites, pictures, and virtual tours available online today, clients typically have their favorite homes and communities narrowed to the top five to seven they want to see before enlisting the help of a real estate expert. Gone are the days where an agent shows 100 homes before a choice is made.” For buyers, services are complimentary and a great real estate professional will help guide you in making decisions that are best for you, your family, and your personal style. Right now, that’s super important in a hot market where things are changing quickly, and home buyers and sellers need to be ready to finalize a deal at any moment. Paul, who’s also a commercial and residential insurance broker with Mavco insurance in Hinsdale, works with a lot of clients looking for all ranges of homes throughout Chicagoland and the Burbs. 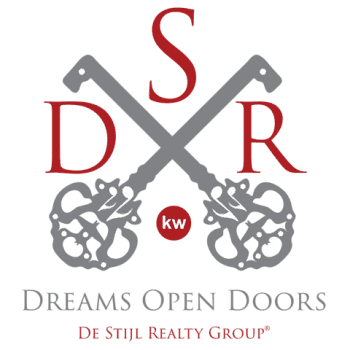 DSR Realty is partnered with Keller Williams, which in early 2018 became the No. 1 real estate franchise company (each office independently owned and operated) in the United States in closed transactions, sales volume, and agent count. Keller Williams was also named the No. 1 happiest place to work by Forbes magazine for 2018 and holds the honor of being the #1 training organization in the world of all industries. All of that helps us know he made the right choice staying in Chicagoland to work with clients, discovering their passion, and providing a perfect real estate experience.